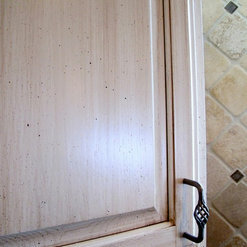 46 Projects for Ragsdale, Inc.
71 Reviews for Ragsdale, Inc.
We recently used Ragsdale to remodel our kitchen. I loved working with Grace. Liked her ideas and her willingness to work within our budget and high level plans to update our kitchen vs trying to talk us into her ideas. 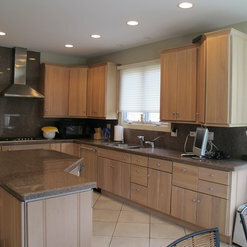 For example, we had stained cherry cabinets and wanted to refinish them in the same color, not paint them. She worked with us to touch up, repair and refinish them. They look like new. We also enhanced the crown to give them an updated look, put in new quartz counters, a stone back splash and new appliances. We couldn't be happier with the outcome. She and her staff were professional, courteous, easy to work with and cared about the quality of their workmanship. We've had many compliments. I would definitely work with Ragsdale and Grace again. From the moment I met Rob and Steve, I was impressed. They knew exactly what I was looking for and were thorough and meticulous in describing their work processes. 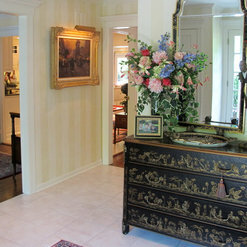 We hired them to work on our interior remodel, which included a extensive woodwork/moldings, a complicated wallpaper project, and repair/correction of some issues we were unhappy with from a previous painting project. Because we have family members in the design and remodel business on the east coast, our standards are high and can be intimidating to some. Ragsdale exceeded our expectations — from the day-to-day work ethic through to the final work product - fabulous! Every craftsmen was courteous, neat and professional. Rob and Grace are true artists who love what they do. 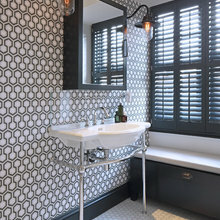 We were able to trust in and rely on their guidance in selecting the right products to use for the look and function we wanted. Their knowledge and passion is evident in the guidance they provide and the attention to detail that goes into every aspect of the project. 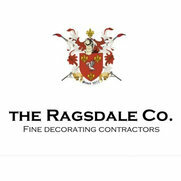 We are planning a second phase remodel and are looking forward to working with Ragsdale again! Grace and Rob were extremely helpful in designing and implementing our project. Their dedicated, friendly, professional demeanor was much more than we expected. They adapted to our family situations that created the need for their rescheduling. Grace even devoted significant research time to assist in providing resolution to some chemical sensitivity issues. The quality of their work and the openness with financial aspects were beyond reproach. 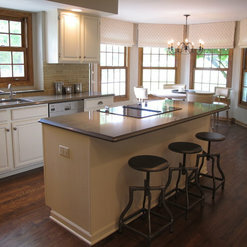 Ragsdale, Inc. exceeded every expectation in our kitchen renovation. 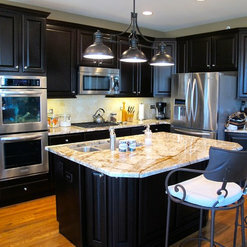 We totally relied on their talent and expertise in the design, selection of colors, fixtures and appliances. The results were stunning. Equally important: The professionalism demonstrated from the moment they entered our home. They took every precaution to protect the balance of our home from the impact of the renovation work; The quality of work demonstrated in carpentry, painting, plumbing were of the highest level; Since my wife and I work full time, we had to rely on the integrity of their employees. 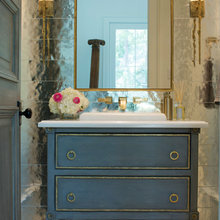 Our trust was well founded; Communicating the progress of each element of the project, which was completed within the desired timeline; The level of care given to select fixtures that were outstanding and within budget; The concern and attention given to any questions or additional request through out the course of the project. In summary, Ragsdale, Inc. is simply wonderful to work with, and has our highest level of praise for all of the above reasons. We were impressed that both the staff and all members of the on-site workforce made it clear to us that delivering on a great cabinet refinishing project was important to them. The work site was kept clean throughout the project. The fact that the work started on schedule and finished within the estimated time frame was an added bonus. Ragsdale is a terrific company. Everyone there is professional and friendly, and they follow through to make sure you are absolutely happy with their work. The workmanship is top-notch, and I would recommend them to all of my friends! Absolute professionals and craftsman in the truest sense of the word. I wouldn't hesitate to call them again. They hand-built a breakfast nook for us that required matching the existing cabinetry in the kitchen and included a cut-out for a floor vent and storage space with piano hinges. It came out perfectly. As homeowners, we have done multiple renovation projects in our lifetime and Ragsdale Co. made our kitchen project the best one yet. They came in with exceptional design ideas, beautiful concepts and wonderful execution. The project was managed so well and came in under budget and within the scope of the timeline. The entire team were experts in their field and fine craftsmen/women from start to finish. I used Ragsdale ti update my kitchen. 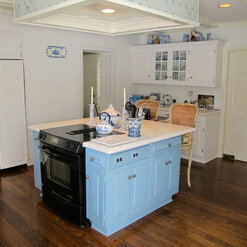 They painted and refinished the existing cabinets, replaced tiles and hardware. From the moment I met with Grace, she was welcoming, knowledgeable and focused in my project, listening to my views and offering advice on what would work well in my kitchen. During the installation, her guys were trustworthy, considerate and wirked diligently. 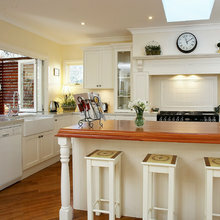 We are delighted with our new look kitchen. Ragsdale did a fantastic job on my oak kitchen making it white. It turned out exactly as I had hoped it would. Our home, which is a Lake Forest Landmark and is on the National Historic Register, has an original 1928 knotty pine library. The linseed oil finish had oxidized and developed an orange hue over time and the wood appeared old and dry. We contracted with Ragsdale, Inc to refinish the walls, cabinet doors and closet doors and repair any holes and cracks in the paneling. 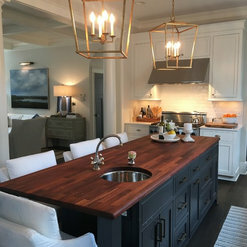 Ragsdale's craftsmen used proprietary products and techniques to achieve that end without stripping any of the wood and they provided us numerous choices of stain color and finish. The revitalization of the original library was completed expediently and expeditiously and the workers were neat and vigilant about not harming any adjacent areas. They also refinished the oak floor. The result is incredibly beautiful, consistent with the vision of the original architect but warmer and more refined. Ragsdale craftsmen are a dying breed and their skills are legendary here in Lake Forest. I recommend the company without reservation. 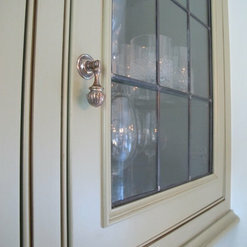 Their painters are old world craftsmen who take pride in their work and customer properties. 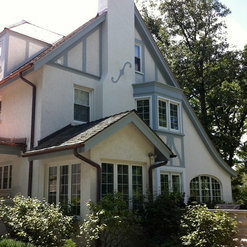 Our use of Ragsdale for outdoor painting is always easy as the workmen are careful not to damage our dense landscaping. Also they clean up the site each day so you don't even know they were there. This is the care and professionalism we have come to expect from Ragsdale. 3 Ideabooks for Ragsdale, Inc. 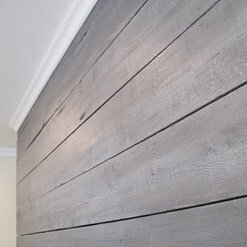 Commented: PaintCustom multi-tone watercolor painted wall finish by the Ragsdale craftsmen. Commented: BacksplashSorry, Stacey - we were not involved with the backsplash on this project. The designer who did the tile is no longer in business, either. Wish I could be more help! Commented: CountertopHi Sue, Another contractor actually did the countertops on this project but I know that Cambria quartz was used. I cannot remember the design but it looks close to Durham. 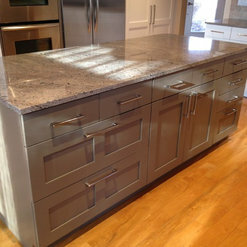 Commented: CountertopHi Sue, again we did not install these countertops however I do know they used Cambria here as well. 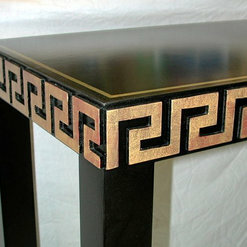 This looks close to Dunmore design.